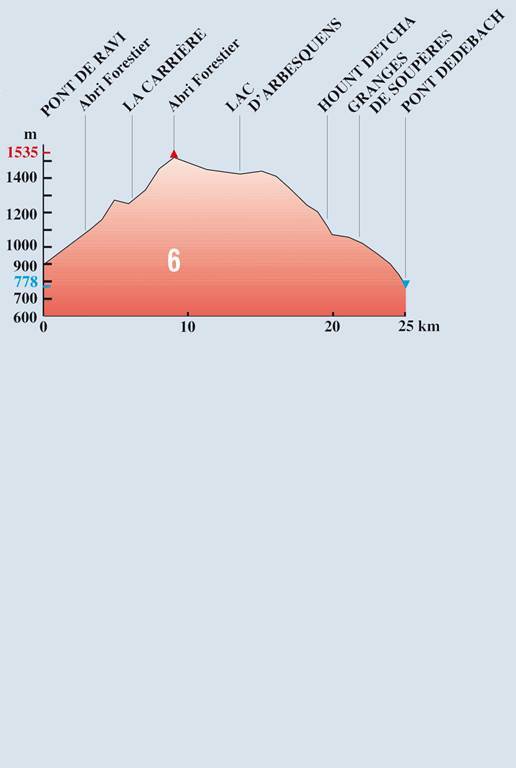 Starting from the Ravi Bridge (5 km from Luchon). Take right onto the Ravi forest road. At the forester's lodge (alt. 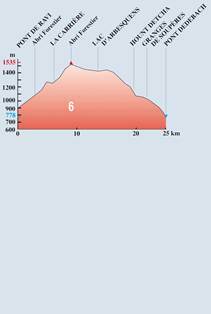 1145 m), take the left trail that goes up to Superbagnères throug the Nau-Hounts wood. 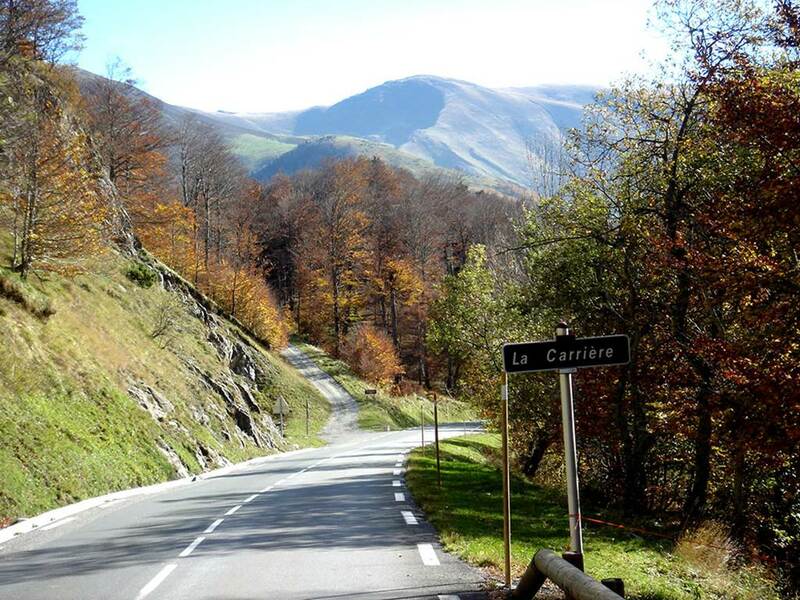 As you leave the wood, take the RD 46 for 2 Km up to La Carrière (alt. 1400 m). 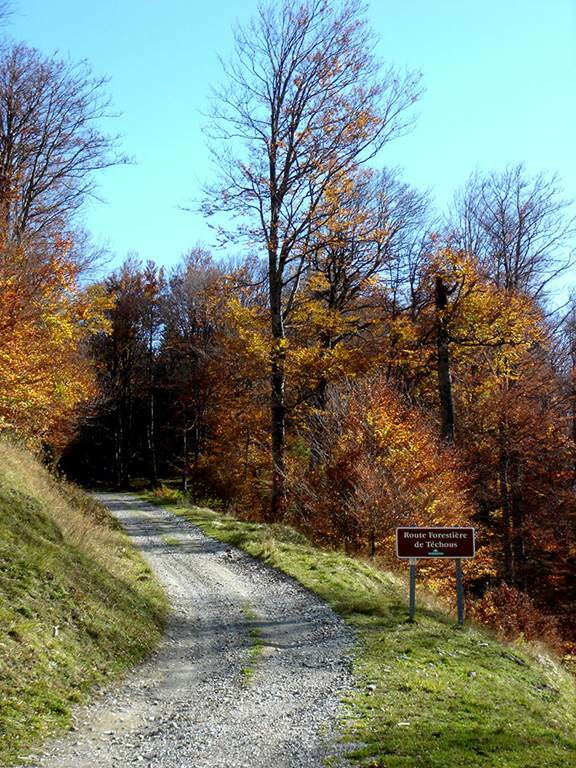 Take right onto the Téchous forest road up to the forester's lodge (alt. 1500 m). 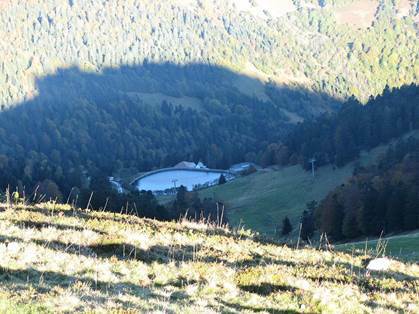 Follow the track in front that joins the Arbesquens Lake passing by the former Artigue chairlift. Pass by the snow-making station, take the forest road down to Hount-Detcha (alt. 1100m), take down the asphalt road for 400 m and turn right into the barely visible track that joins the road of Gourron. 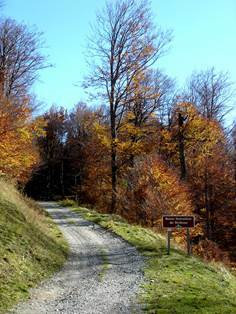 Turn left on the asphalt road and 800 m lower, turn right towards the Barns of Soupères. Leaving the barns, turn left to get to the Debach Bridge.